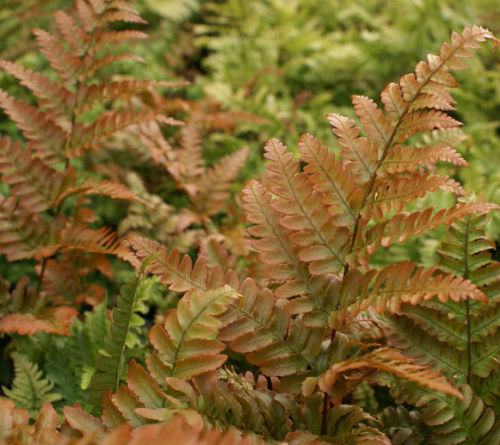 This is a gorgeous fern from Japan, new fronds are a rich orange/red slowly maturing through orange/yellow to green. Autumn colour is a yellow green that persists well into the following spring. It is easy to grow in a good garden/woodland soil in shade/ partial shade or full sun in most soil. A very easy fern to grow and one of our most popular ferns.